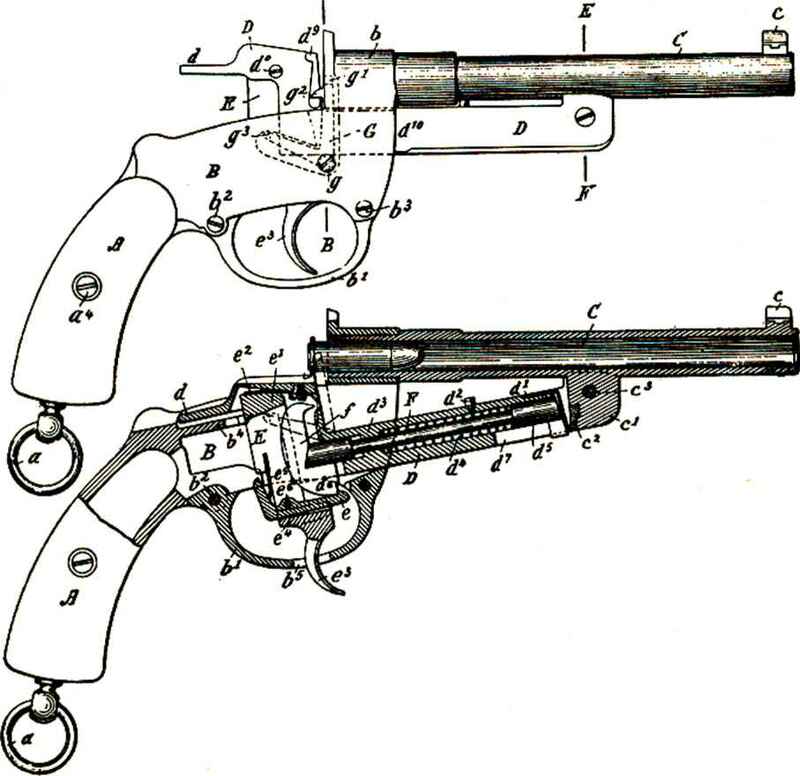 Mauser made two patterns of revolvers, both of unusual design utilizing a coil mainspring as shown in the drawing housed below the cylinder in the frame. The first type was a solid frame revolver. A loading port of standard type was provided on the right side of the frame. 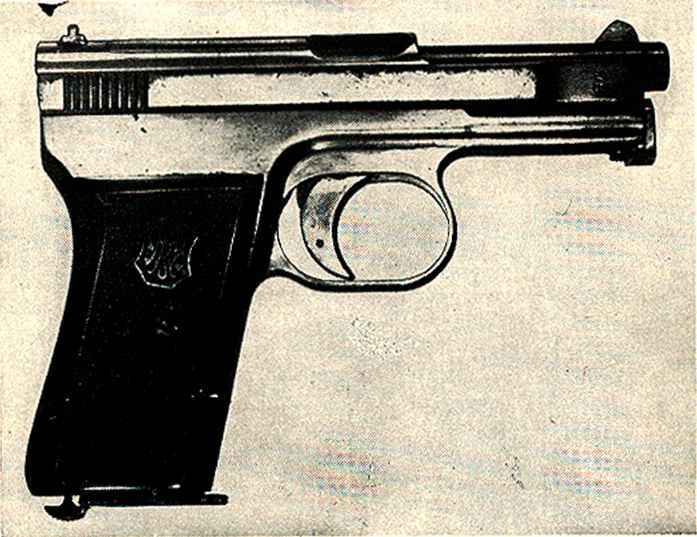 This was a standard single action type weapon in which the hammer had to be cocked for each shot.